The Desk by Crate Designs Furniture is a compact desk with 2 drawers and an open shelf to keep everything organized. 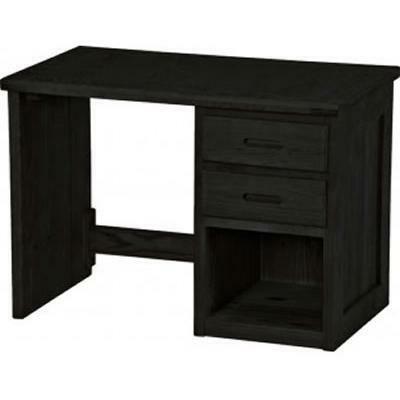 It comes in a black color and is a stylish piece in any home office. The Desk by Crate Designs Furniture is a compact desk with 2 drawers and an open shelf to keep everything organized. 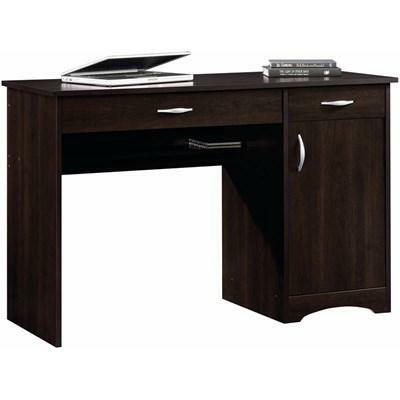 It comes in a brown color and is a stylish piece in any home office. The Desk by Crate Designs Furniture is a compact desk with 2 drawers and an open shelf to keep everything organized. 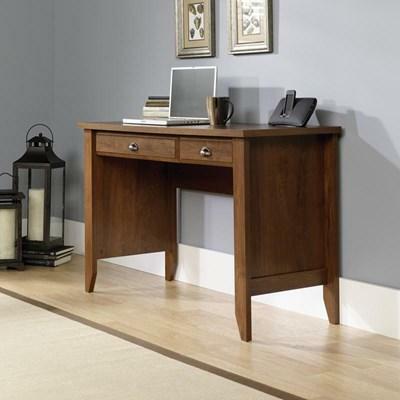 It comes in a grey color and is a stylish piece in any home office. The Desk by Crate Designs Furniture is a compact desk with 2 drawers and an open shelf to keep everything organized. 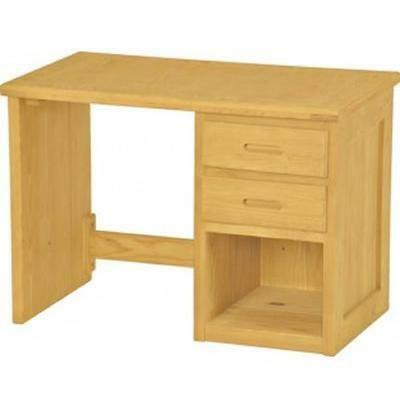 It comes in a yellow color and is a stylish piece in any home office. 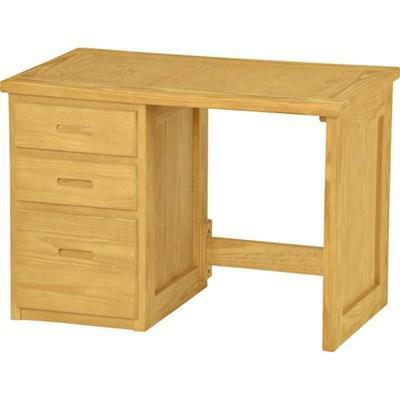 This Desk from Crate Designs Furniture features 3 drawers, a solid southern yellow Pine frame and top, plywood drawer bottoms and comes in a variety of wood finish. The Cannery Bridge Work Table is finished on all sides allowing more versatile placement. 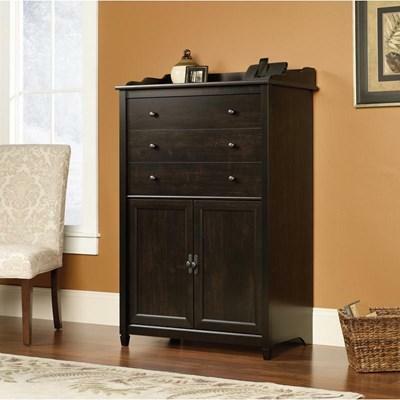 Its drawers have metal runners and safety stops whose features patented T-lock drawer assembly. The Shoal Creek Office Desk from Sauder comes in soft white finish. 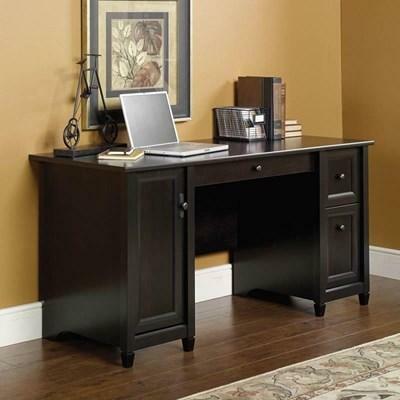 It features a flip-down molding which reveals slide-out keyboard/mouse shelf, a small drawer that provide hidden storage with easy-glide metal runners.